At first glance, the Tempur-Embrace doesn’t look like your typical pillow. 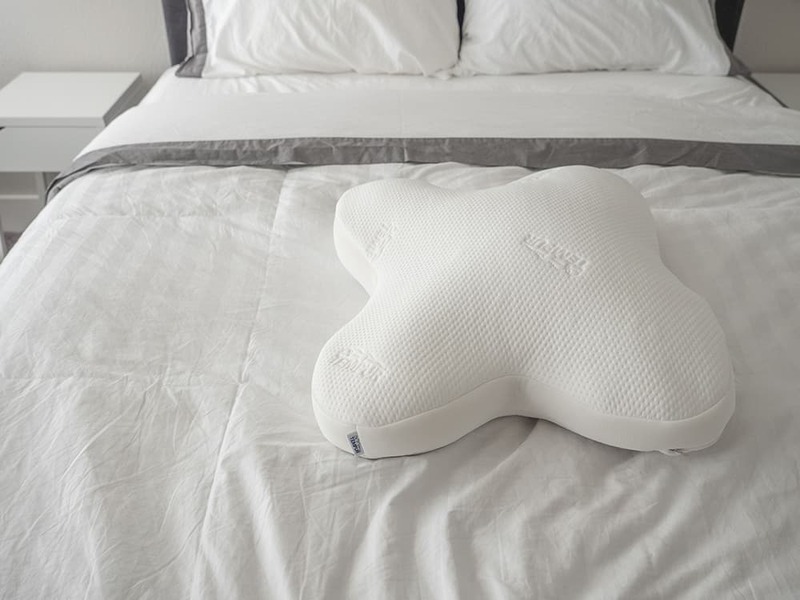 Its unique shape and super soft filling are all designed to help you sleep (and breathe) comfortably in any position. Does it meet expectations? Read on for my full review. 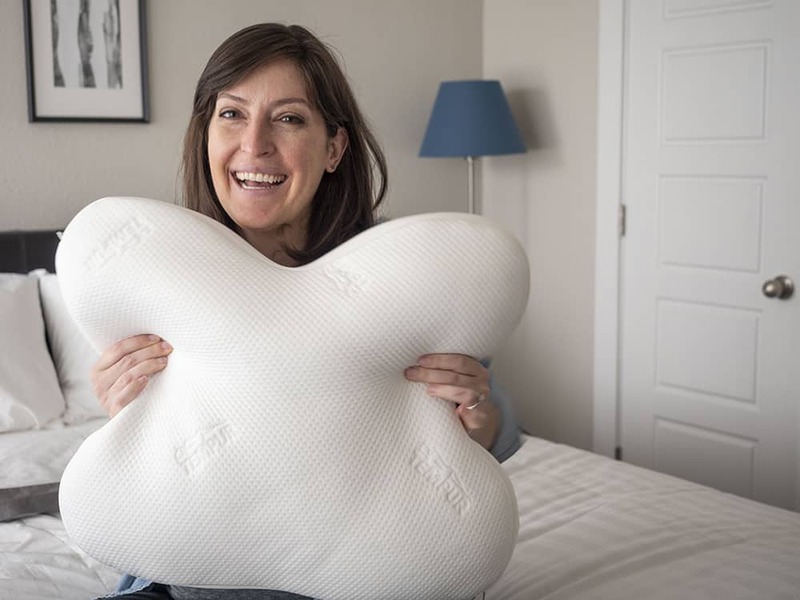 The Tempur-Cloud pillow is made by Tempur-Pedic, a popular mattress, and bedding company that merged with Sealy in 2012 to become Tempur-Sealy International. Tempur-Pedic – the brand – is well known for being the first to take memory foam mattresses mainstream. For more information about Tempur-Pedic and their mattresses, you can check out our review, here. 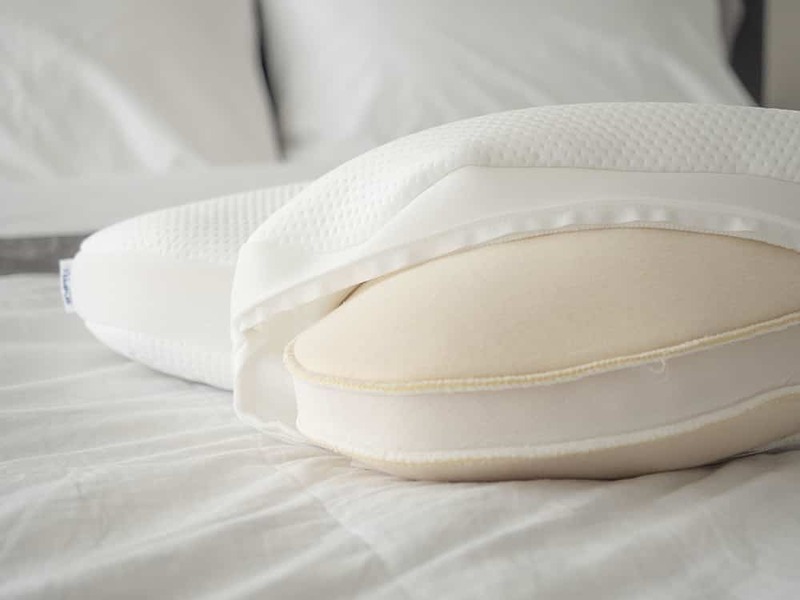 The Tempur-Embrace pillow is not a traditionally shaped pillow. Instead, it looks similar to an X-shaped pancake. Maybe that’s a terrible description, but it has four extensions that come from the center of the pillow, giving it a flattened X-like shape (that’s slightly less than symmetrical). The cover is textured and 99% Polyester and 1% Elastane (a synthetic fiber that’s known for its elasticity), which makes it soft with a tiny bit of stretch. 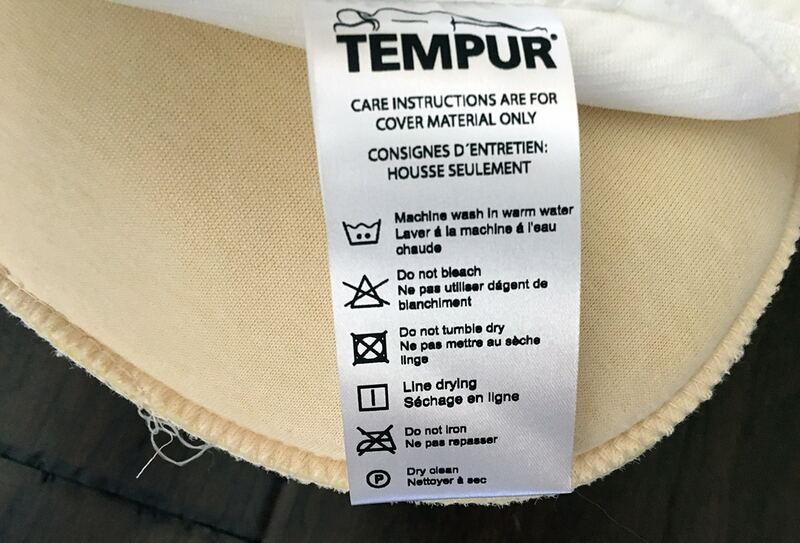 The cover is removable and machine washable and can be line dried (care instructions can be found on the inner tag). The pillow is filled with a truly unique blend of shredded memory foam and a memory foam pad (69%/31%). The pillow has an overall profile of 4.7” which does make it well suited for stomach sleepers. The inner filling is not machine washable or dryer friendly. The Tempur-Embrace pillow is about keeping you cool and comfortable when sleeping in any position, including your stomach. Based on my experience, I think it achieves its goals and is able to do so because of its unique shape and it’s shredded foam/pad combination filling. The pillow is not tall, it has a 4.7” profile. This height tends to be better suited for stomach and back sleepers, whose head needs to be raised only slightly to keep it in neutral alignment with the spine. The feel of the pillow is soft (probably an 4 out of 10 on the firmness scale) and has a true memory foam feel. You sink slightly into the pillow and the foam cradles your head and neck and it is slow to respond overall. I was not able to feel any pieces of shredded foam, I didn’t know there was shredded foam in there until I read the tag. It feels more like a giant piece of foam than a combination of a foam pad and pieces. I sleep in multiple positions – usually starting on my back and ending up on my side or stomach. While side sleepers tend to need firmer pillows, I found that my neck and head were fully supported and very comfortable with this pillow, even when I slept on my side. Larger or broader-shouldered individuals may find themselves needing a taller/firmer pillow to support their head and neck on the side. One of the reasons this pillow could work for all positions (in my opinion) is that its shape allows you wrap the pillow around your neck and provide support to the side of your face and neck in a way that makes it comfortable and easy to breathe. I had a positive experience with the Tempur-Embrace pillow. I think the pillow’s height, unique memory foam filling, and special shape all work together to make it a versatile pillow that can really work for any position. There is no return policy for the pillow and it does cost a bit more than the average pillow, but for those struggling to find a pillow that supports their head and neck when they move around during the night, this pillow just might do the trick. If you are interested in other Tempur-Pedic pillows, you can check out my review of the Tempur-Symphony here or the Tempur-Cloud Breeze Dual Cooling, here.